The reputation of some east Asian computer OEMs may be hurting this week after news of Asus laptops' vulnerability to hackers comes so close to news that Huawei, too, had a serious security flaw in its flagship MateBook line of laptops. ZDNet reports that the Huawei PC Manager driver utility software that comes on MateBook laptops was vulnerable in a way that could allow attackers to gain escalated privileges in the computer. Successful attackers would be fully able to compromise a laptop. A Huawei report on the issue says, "The attacker can tricking a user to install and run a malicious application to exploit this vulnerability. Successful exploitation may cause the attacker to execute malicious code and read/write memory. " The PCManager versions that were vulnerable are all those before version 9.0.1.66 internationally and 9.0.1.70 in China. While the news of this flaw may just be making the rounds now, Microsoft caught the flaw through a new kernel sensor built into the Windows 10 Version 1809 update that came out last year. And, Huawei has fixed the flaw as of January. 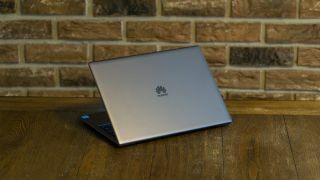 If you own a Huawei laptop released in 2018 or before, be sure to completely update your machine as soon as possible – assuming you haven't since before January.